Yanzhou Coal Mining Co.’s high-profile acquisition of assets in Australia last year is set to pay dividend as resilient coal prices boost its earnings and bode well for its stock that is trading at around record low valuations. Shares of the producer have gained more than 9% in Hong Kong after an endorsement from Goldman Sachs Group Inc., which highlighted gains in coal prices, especially for the premium coal produced in Australia The bank revised up its profit estimates for Yanzhou and boosted its rating to buy from neutral on Monday and assigned a target price of HK$12, implying potential for a 33 percent jump from current levels. Yanzhou’s prospects are aided by the widening price gap of Australian coal over lower-grade material after its $2.7 billion purchase of Rio Tinto Group’s coal assets in Hunter Valley last year. The producer has a 45 percent sales exposure to the seaborne market and most of that is high-quality thermal coal, according to Goldman, which also predicted Chinese prices will stay robust in 2019. “We view the valuation of the stock as highly attractive” following recent declines, Trina Chen, Goldman’s analyst in Hong Kong, said in the note. She raised Yanzhou’s annual net profit estimates by as much as 35 percent over the next three years to reflect the bank’s higher thermal coal price forecasts. Yanzhou shares advanced 3.5 percent to HK$9.04 on Friday. That’s about 4.6 times its estimated earnings per share for the coming year, near a record-low and far below more than 7 times for larger state rivals China Shenhua Energy Co. and China Coal Energy Co., according to data compiled by Bloomberg. Back at home, things are looking decent too. Coal prices in China have averaged 5 percent higher this year amid tight supply and sturdy demand. Consumption is set for a further boost in the run-up to winter as supply will likely be curbed by air pollution controls. The raw material has climbed for seven straight weeks to 665 yuan a metric ton as of Monday, the highest since July, China Coal Resource data show. Prospects for an imminent demand pickup is driving Argonaut Securities (Asia) Ltd. to be bullish on Yanzhou. 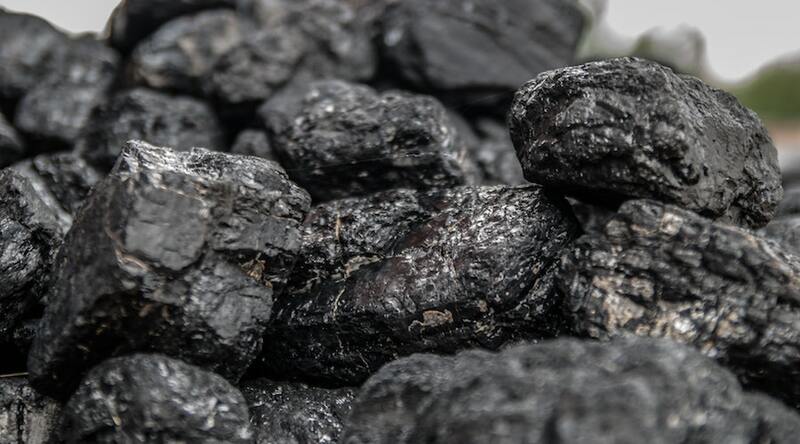 With coal prices holding up despite record-high stockpiles at power plants, “imagine what will happen when inventories start to fall as coal burn improves on lower temperatures,” said analyst Helen Lau. Not everyone is as optimistic as Goldman’s Chen and Lau. Data compiled by Bloomberg shows that the analyst consensus rating on Yanzhou Coal’s Hong Kong-listed stock is equivalent to hold. Its consensus rating of 3.93 is lower than 3.94 for China Coal and 4.33 for Shenhua. The growth outlook of Chinese coal miners isn’t without threat. In recent years, the Chinese government has been trying to wean the nation’s reliance on the fuel in favor of cleaner-burning gas. BI said in a report this month that coal demand will taper off in coming years on expectations of further government measures to limit consumption worldwide. More supply is also set to be unleashed in China, where policy makers have been pushing domestic producers to boost higher-value capacity. That’s been happening in Shaanxi and is picking up in other major producing regions in the country, according to Jefferies Group LLC’s Laban Yu, who has an underperform rating on Yanzhou. Investors will get to assess Yanzhou’s outlook when it reports third-quarter earnings on Friday. The results will probably show the company remaining the fastest-growing among China-listed coal miners due to its rapid expansion in Australia, Bloomberg Intelligence said in a report Monday. Yanzhou is also planning to list its Australian business on the Hong Kong stock exchange, which could raise as much as $700 million. That could help strengthen its capital and provide funding for expansion plans, BI analyst Michelle Leung said in August.